Golden West Pool Tables Orange County. 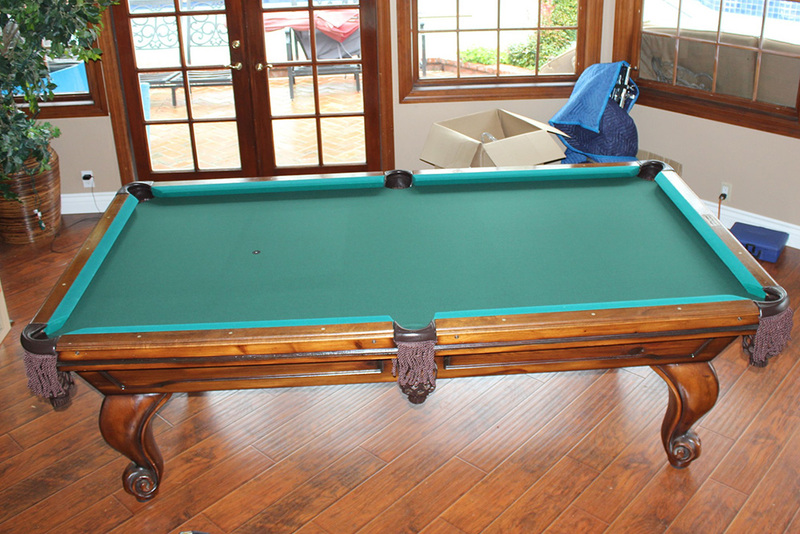 This Laguna Hills, CA family recently hired us to uncrate and setup their Golden West pool table. 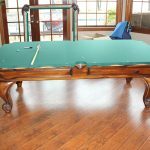 The eight foot three piece slate pool table has been with them for many moves. 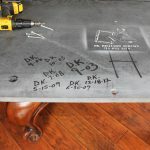 This table has even been to the United Kingdom and back. 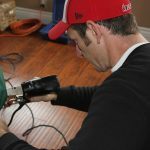 This time I had to replace the pool table felt due to repeated previous installs. 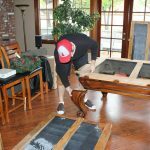 I tell my clients that I can usually re-stretch their pool table felt two times after the original bed cloth installation. I think this was the second new felt that I’ve installed on this Golden West. We didn’t refelt the rails this time around because the cushion rubber had gone dead and the client was having family over for the holidays. There just wouldn’t be enough time for me to recushion the rails and have them done before his guests were due to arrive. We usually keep the client’s set of rails in the shop about two weeks. 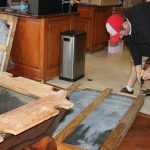 This gives us enough time to properly prep the rails and re-cement the new cushion rubber to the wood. We’ll allow three days for the contact cement to dry then we cut off the excess cushion rubber. We then glue on a new set of cushion facings, a couple days later we trim and shape the facings and then the rails are ready for new rail cloth.